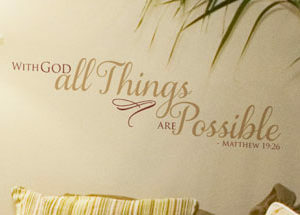 Our Lord, Jesus Christ, uttered these words, and Matthew penned them for posterity. 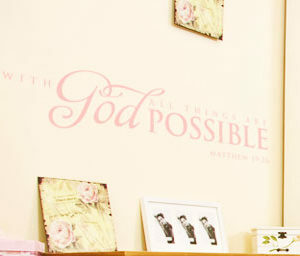 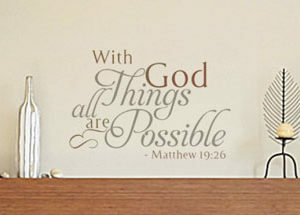 answer: With God all things are possible Matthew 19:26.
above the fireplace, next to a flowered lampshade and above family photographs. 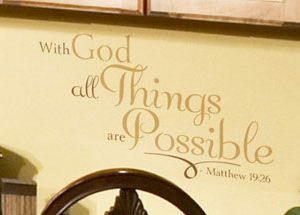 popular category and learn how to accomplish all this with our high quality wall lettering.